Eyelash extensions are when an esthetician applies false eyelashes to an individual's eyes. Eyelash extensions are not the same as false eyelashes, the ones that you can buy at any cosmetic counter, which are usually applied with minutes and taken off nightly. Eyelash extensions are applied one by one to your actual eyelash. Once your natural lash falls out, the fake eyelash will also fall out with it. 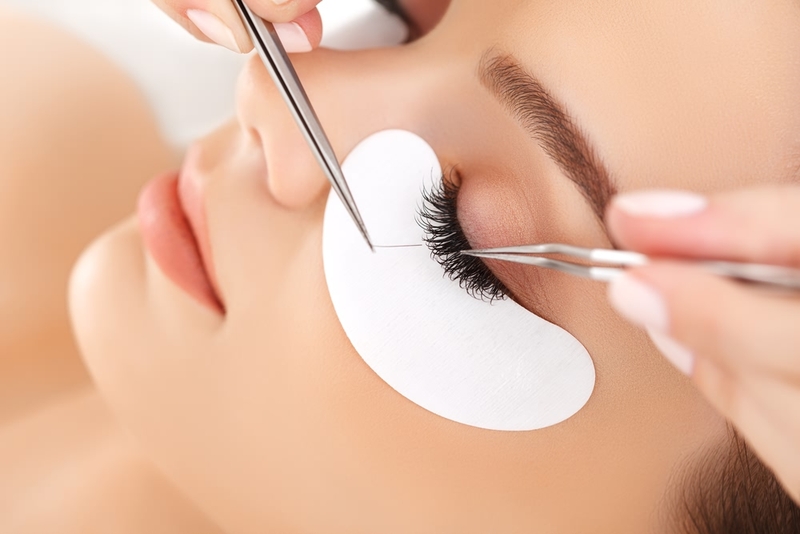 Eyelash extensions are applied with glue and tweezers. Depending on the number of lashes that you put on your eyes, the procedure can take up to two to three hours. The lashes can be made of a variety of materials but most people use lashes made of a light plastic material. However, some people also opt for mink or silk. Read our articles below where we discuss best tips and tricks for using eyelash extensions..